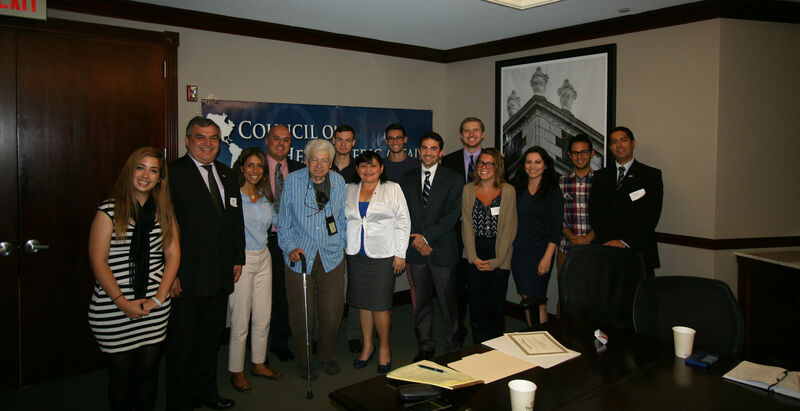 On Wednesday, September 9 the Council on Hemispheric Affairs (COHA) hosted an office meeting with two congressional deputies from Paraguay, Mrs. Esmérita Sánchez de Da Silva and Mr. Horacio Victor Carísimo Ocampos. The two deputies are members of the Authentic Liberal Radical Party and serve on Paraguay’s Committee on Immigrant Affairs and Development. Their visit to Washington was centered around a meeting with some of the leading members of the Paraguayan community in Virginia, Washington, and Maryland. They were joined by Mr. Cesar Nicolas Benitez Saguier, Advisor on Immigration Affairs, as well as Mr. Peter Tase, a former COHA Intern who now serves as the International Affairs Advisor and General Coordinator for Mrs. Sanchez. The delegation joined COHA’s Director Larry Birns, as well as a number of COHA researchers, to discuss the pressing socio-economic themes now facing the Paraguayan nation. Deputy Sanchez came forth with a thoughtful presentation as well as a high-minded assessment of the state of affairs in Paraguay during the meeting. 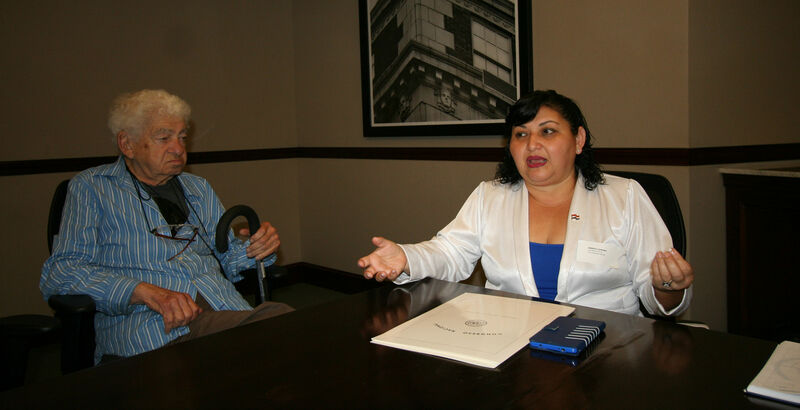 She spoke about her goals for Paraguay and her convictions as President of the Committee on Immigrant Affairs and Development. In that regard, she also addressed her desire to nourish and maintain strong connections with Paraguayan expatriates, whose remittances to the country Sanchez identified as essential to Paraguay’s economic wellbeing. Paraguay has a population of roughly 7 million, with nearly 20 percent of its citizens living abroad. Currently, Paraguay’s Supreme Court requires that voter registration for expatriates living in the United States be carried out in New York City. The expatriate population, however, has now spread throughout several major cities of the United States such as Washington, Los Angeles, and Miami. Sanchez and Ocampo outlined plans to increase voter accessibility through the creation of an online voting and registration process. 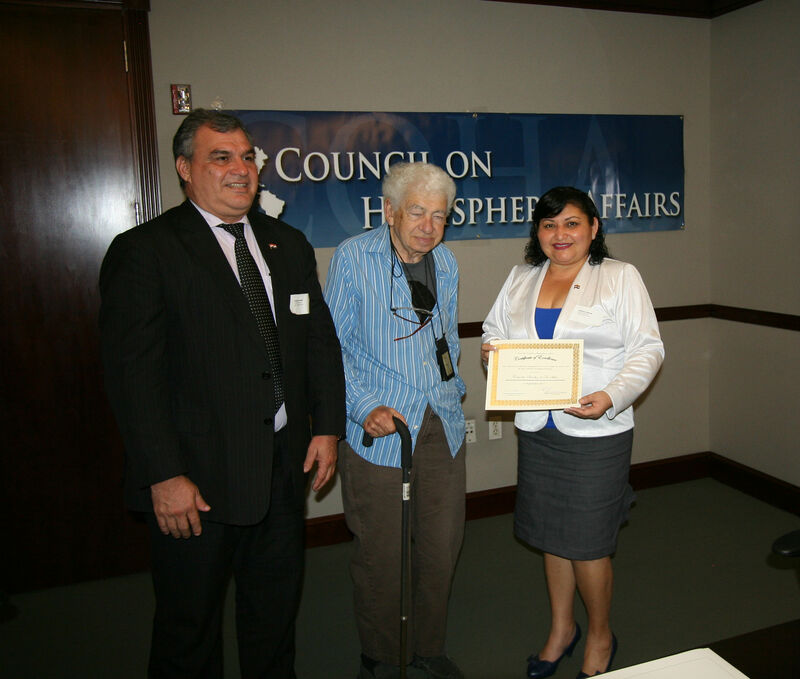 What was even more striking in her address to COHA was Mrs. Sanchez’s commitment to improving the livelihood of Paraguay’s most vulnerable citizens. Many of the initiatives that Mrs. Sanchez shared with COHA focused on an increasing access to education and overcoming the parochial mindset that has inhibited the embracement of modern healthcare for women, such as mammograms and pap smears. When asked about Paraguay’s future development, Mrs. Sanchez referred to education as “the foundation for everything.” She stressed the need for programs that provide equitable access to education, such as government-funded scholarships, as well as the need to provide health education. COHA’s previous active involvement with Paraguay dates back some time and was primarily concentrated in exposing corruption and human rights violations within the country. However, Deputy Sanchez’s keynote address has refocused COHA’s spotlight on the nations initiatives for social and economic development. In the coming months COHA will be exploring initiatives within the country and the formulation of possible policy solutions for some of these themes.